with a Gorgeous Marble Poly Stone Bowl the Sunspray offers it all Grace, Power, and Consistency. Our White Stone Bowl Water Feature simply looks Amazing. Polystone : Just like Marble !!! The Polystone is an extremely Dense compound of Resin and Powdered Marble Stone that will stand up to the harshest of elements and look good All the Time. Extremely durable almost Completely Resilient to Water and Weathering, Just like Marble !!! 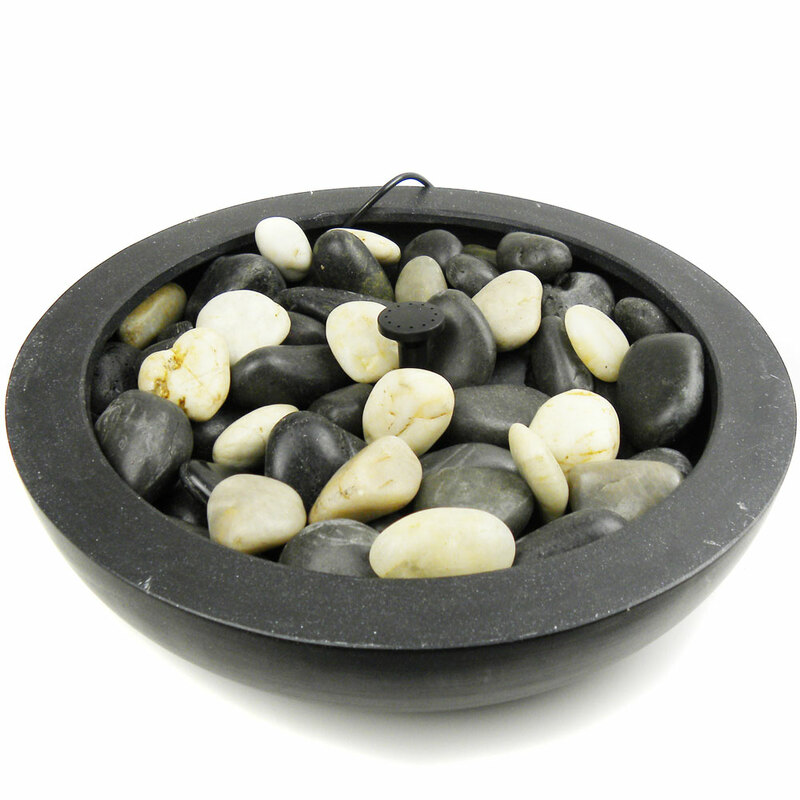 The Sunspray Black Stone Water Feature Bowl requires no maintenance, other than the odd wipe down. See our Range of Solar Fountain Pumps Ideal for Water Bowls and Ponds for the Garden. 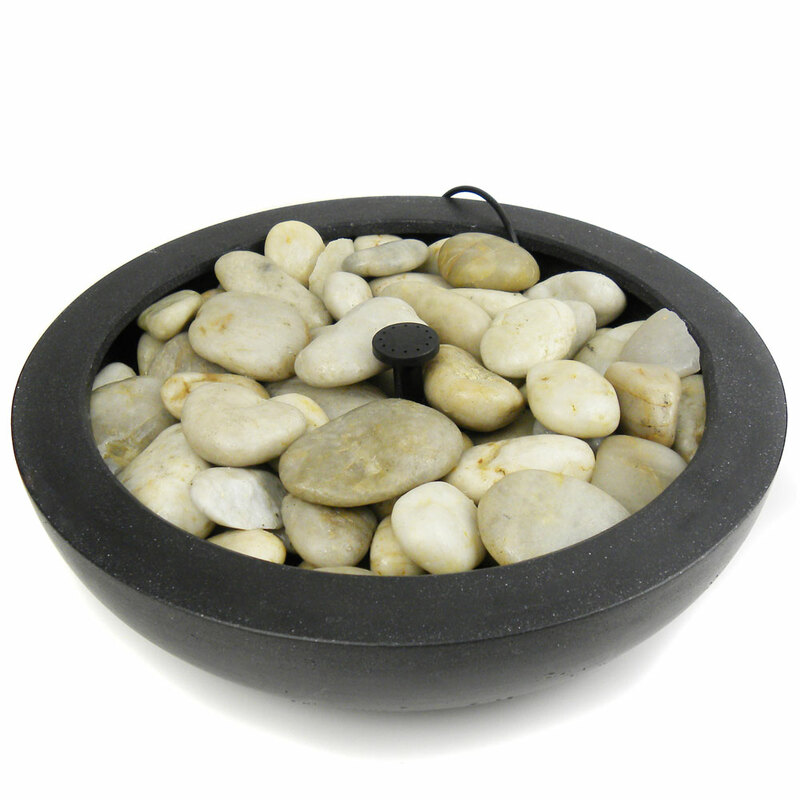 Solar Bowl Water garden Feature is a compact, no-hassle solution for those who lack the room for a fully established pond. 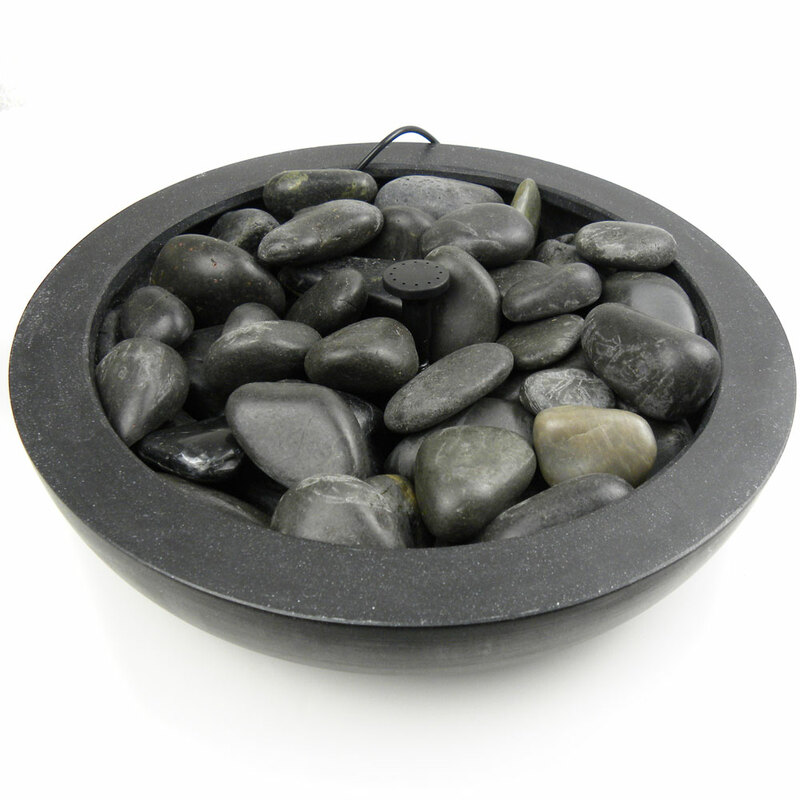 Perfect for patios, small gardens or even balconies these water gardens can fit stylishly into almost any environment. The included water feature pump has a battery backup to ensure consistent movement of the water which keeps it oxygenated, preventing odours and can keeping the water clear. Solid, easy to put together, worked immediately, came with lots of pebbles. 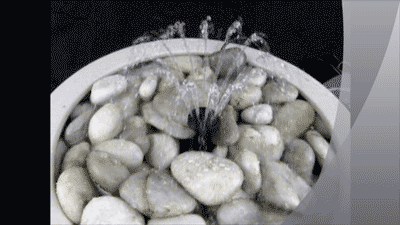 A nice looking simple water feature. Definitely pleased with it so far!